Etihad Airways, the national airline of the United Arab Emirates (UAE), has commenced scheduled flights between its hub in Abu Dhabi and Shanghai (China). The airline will initially operate five weekly Airbus A330-300 services to Shanghai’s main international airport – Pudong (PVG) – with commitments to a daily schedule from 15 April. The President and Chief Executive Officer of Etihad Airways, James Hogan, said that the new route had special significance as the first non-stop commercial passenger flight between Abu Dhabi and Shanghai. Flight time is around eight hours. The airline will compete with Emirates, whose home base is at Dubai, just 70 miles, or less than two hours, along the coastal highway. Emirates is established and is daily with an Airbus A380 on the route. Virgin Atlantic has appointed its first ever 'whispering coach' to ensure that all passengers using the airline's new Upper Class Dream Suite enjoy the most relaxing night's sleep possible. The new training, which takes an extra day to master, has been added to the existing service training which Virgin Atlantic's Upper Class cabin crew go though. Crew learn the best ways to engage with passengers – ensuring they experience unrivalled hospitality at 35,000ft. Cabin crew training already includes master classes based on a 'Brilliant Basics, Magic Touches' ethos and includes tips on how to read passengers, being tactile and how to wake people comfortably. Hong Kong has seen the arrival of Cathay Pacific’s first Boeing 777-300ER featuring its new Premium Economy Class product and long haul Economy Class seats. Virgin Australia is to introduce a Business Class on its Embraer E190 fleet later this year. The re-designed layout is 2+1 with new luxury leather seating creating a superior experience of privacy and comfort for guests. The cabin will offer just six seats at a 38” pitch with a fixed divider from Economy Class. Virgin Australia Group Executive of Product and Service, Martin Daley, said that the new layout of the E190 fleet will enable Virgin Australia to cater to market demand for Business Class travel between key cities and regional destinations. 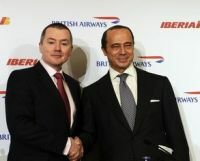 British Airways and Iberia’s parent company, IAG, has reported an increase in annual profits. The company made a pre-tax profit of £426 in 2011, the figure for the previous year was £70m. IAG's Chief Executive, Willie Walsh, used this announcement to once again criticise Government policy regarding APD (Airline Passenger Duty). "The impact of these very high taxes – the highest in the world – is very negative on the UK economy and is destroying jobs," he said. Mr Walsh noted that BA was cutting recruitment by 500. The airline also said it had reduced non-fuel costs by 5.6% last year and increased revenue per passenger by 3.6%. 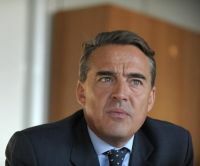 Regarding Iberia strikes by pilots in response to plans to launch Iberia Express, a new low-cost carrier, Mr Walsh said they were costing the company about €2m during each day of industrial unrest. Mr Walsh noted British Airways traffic this summer may be impacted by the Olympic games. While the Olympics will be positive for the long-term position of London as a global destination, past experience in other host cities suggests that demand could be dampened. Hilton is getting on very quickly with rebranding the raft of Mint Hotels recently acquired as Garden Inns with Bristol the latest opening. 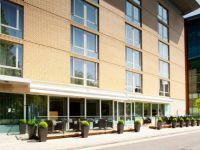 The Hilton Garden Inn Bristol City Centre is near Temple Meads station and opposite the main business district. Close by is the Cabot Circus shopping area as well as the city’s historic harbour side. It is part of a wider Hilton Garden Inn portfolio expansion which also includes new openings in Glasgow and Birmingham. London’s iconic double deck red bus Routemaster is making a comeback. The first of a new fleet of 21st century models was introduced last week on route 38 between Victoria Station and Hackney in East London. It replaces the unpopular Bendy Bus. The current Mayor of London, Boris Johnson, first announced his intention to create a new bus in the run up to the 2008 Mayoral election which he won. Another election is due 3 May this year. 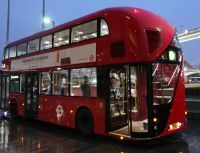 A competition was launched in July 2008 that sought to harvest design ideas for a new bus for London that drew inspiration from the iconic Routemaster but was fit for the 21st century. This would be the first time a bus had been designed specifically for the streets of London in more than 50 years. The competition was a huge success with more than 700 entries received from professionals and non-professionals of all ages from five continents. "Our decision to order the Boeing airplanes is part of Air Astana's long-term growth strategy to expand and modernize our fleet with newer, more fuel-efficient airplanes to serve domestic, regional and international routes," said Peter Foster, President, Air Astana. "In addition, we want to offer an enhanced travel experience for our customers which we shall be able to do on these airplanes." On the London route Air Astana is twice weekly for the eight hour service. If BA take over bmi, who offer the same frequency, it will be interesting to see their future plans. Thursday 15 March sees the return of CNN Business Traveller hosted by the indefatigable Richard Quest. Each month, Quest will present the show from hotels, airports and cities around the world, bringing his detailed knowledge of surviving out of a suitcase on the world’s corporate highways and byways. Joining him will be resident business travel news correspondent Ayesha Durgahee. “Since CNN Business Traveller has been away, tough economic times have continued, but so has business travel. I’m delighted that once again, CNN is able to inspire viewers to profit from their travels and broaden their horizons, both in terms of personal enjoyment and business opportunities. This is a fascinating industry – we look forward to the year ahead on the road,” said Matt Percival, Executive Editor, CNN International. In the first programme, airing 07:30 GMT Thursday 15 March, Quest is in Singapore to celebrate business travel in a region where growth is rife and trends are set. With the economic winds blowing eastwards, Changi Airport is a thriving hub battling for supremacy among Asia’s high-tech airports; it was also the location of the first ever episode of ‘CNN Business Traveller’ so it is a fitting place for the programme to return to in 2012. www.cnn.com/businesstraveller (goes live on Wednesday, 7 March). Readers should take care if passing through Frankfurt Airport during the next period. Due to industrial action by ground staff last week just over 1,000 flights have been cancelled since Thursday. The vast majority of these were Lufthansa, which has mostly scrapped European services to give priority to intercontinental passengers. The GdF trade union said in a statement that the strike would start at 20:00 GMT Sunday 26 February until 04:00 GMT on Thursday 1 March. Frankfurt Airport is Europe's third-busiest after Heathrow and Charles de Gaulle, with about 1,300 flight movements per day, more than half of them by Lufthansa. A spokesman for Lufthansa said that, like with the previous walkouts, long haul flights would be given priority and a list of Monday's flight cancellations is now available on its website. Lufthansa was the worst hit by the strikes that started on 16 February and initially ran until 22 February. 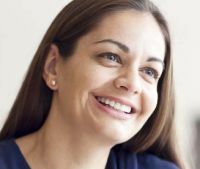 Siobhan Benita, who is standing as an Independent candidate in the forthcoming election for London Mayor, is today calling for the building of a third runway at Heathrow to be put back on the agenda and given the go-ahead by the Government. Incumbent Boris Johnson says an airport in the Thames Estuary could be the answer whilst main rival Ken Livingstone does not seem to have a policy. Heathrow Airport is unable to grow as the existing two runways are fully utilised and the airport is close to capacity. Based upon the latest analysis of scheduled airline capacity data from airline data specialists OAG, total scheduled airline capacity is anticipated to increase by 3% in March 2012. The increase in overall capacity however is not matched by a similar increase in frequency, indeed total frequencies have increased by only 2% over March last year. OAG says that although the trend towards increases in capacity and frequency is encouraging, from a regional perspective the picture is somewhat mixed and significant variations exist. The Middle East is the region which commands the highest level of increase in capacity and frequency where OAG notes a 9% increase in frequency and an increase of 10% in capacity. Capacity within North America sees a decline of 1% suggesting the continuation of difficult trading conditions as a consequence of the global economic downturn. Frequencies within North America have also declined by 3% an overall contraction of the market albeit the majority arguably being attributable to changes in the schedules of American Airlines as the carrier enters Chapter 11. Let’s face it, if you are stuck at Heathrow for some reason for 24/48 hours nearby there is the world’s greatest selection of ‘what to do’. You can go into London or take advantage of some of the most absorbing countryside anywhere in the world. The choice is simply enormous. Here is a suggestion. It is somewhat Victorian regarding venues, but as you will learn some of our forebears lived very well. Make for Aylesbury less than one hour away by road. You can gamble that the M25 is clear and onto the A41M or take the pretty and much shorter cross country route via Great Missenden and Amersham. Your base for one or two nights is Hartwell House on the Oxford Road just outside the town. It is owned by the National Trust and was once the residency of Louis XVIII, never crowned as King of France, who lived there with his Court for five years. 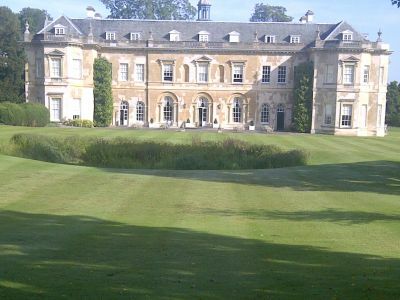 Situated in 90 acres of landscaped parkland, Hartwell House offers a splendid country house setting. It provides for a long (or short) walk, country pursuits, and a fine spa with an exquisite swimming pool that opens out onto a private veranda. For an ‘away from it all’ company conference, within easy access of London and Heathrow, it is ideal. 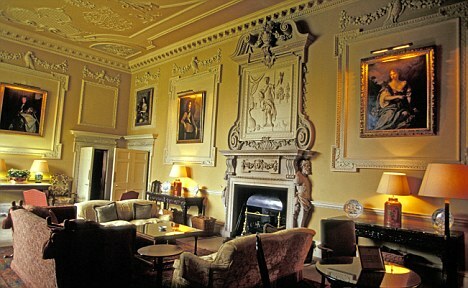 The impressive Grade I listed house, which has both Jacobean and Georgian facades, contains a host of most beautiful rooms with rococo ceilings, antique furniture and paintings, yet with every imaginable contemporary comfort. The bedrooms follow the same style, but internet is provided too. Dine is style in the restaurant or take tea in one of the large and historic public rooms with friends. In a classic style is the Hartwell House spa with a first class gym, the indoor pool and small café. The grounds are extensive, laid out by Capability Brown, one of Britain’s finest ever landscape artists. Hartwell House is central for two fascinating yet completely different late Victorian properties. Both the owners were very powerful men whose backgrounds were not that far apart, but clearly had completely different views on what a home should be. 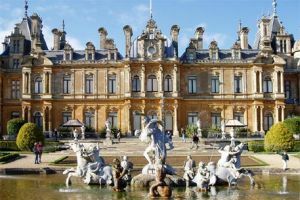 The residence of Baron Ferdinand de Rothschild (1839-1898), Waddesdon Manor is one of the great country houses of England. 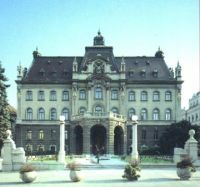 It was built by the Baron in the Neo-Renaissance style of a French château between 1874 and 1889. 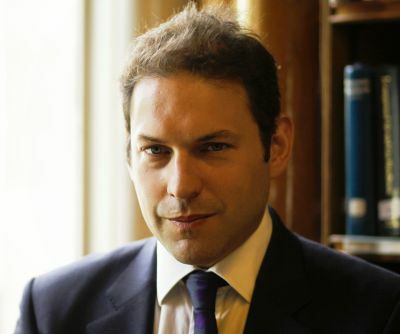 In 1957 James de Rothschild bequeathed the house and its contents to the National Trust. Today it is as immaculate as ever, a living tribute to the family (who still take a great interest) and the Trust who run it on a day to day basis. In its time Waddesdon was one of the fashionable social centres of the country famed for its entertainment and art collection. The Waddesdon Collection is astonishing and comes from all over Europe. The Musical Automaton actually works and is priceless. As you explore the three floors of the main house open to the public one begins to appreciate that the mega rich of today certainly had their contemporaries in an earlier era. One extravagant piece of furniture after another. Paintings by the great Dutch artists and also modern works. The collection does not stand still. Waddesdon Manor can claim to be one of the first buildings of any size to have electricity. In 1890 Queen Victoria was most impressed by the invention she had not seen before. She was reported to have spent ten minutes switching a newly electrified 18th century chandelier on and off. You really need a whole day to get around the park, aviary and stables. A courtesy passenger tractor ride is available and the eating arrangements range from the Manor Restaurant in the Old Kitchen and Servants' Hall, to the very pleasant Stables Café. There is a continuous programme of events and free guided tours of the house for visitors. Cut into the side of a hill is the amazing Woodland playground. It winds through the trees making use of the natural environment to create a fun and magical area to play. Rope swings, see saws, bird's nest swing and contour slide let children run and climb, swing and slide. Different areas are set out for varying ages, suitable up to 14 years. Hughenden Manor, just outside High Wycombe, is something else. As the home of a British Prime Minister (Benjamin Disraeli) it can be compared to Chartwell in Kent, Churchill’s residence. Its connection with Waddesdon is interesting. Queen Victoria visited each of the Buckinghamshire residences. She seems to have been amused with both. It is again owned by the National Trust, like Waddesdon bequeathed through a family trust. Neither Rothschild nor Disraeli had children. Like its contemporary 20 miles to the north west the house and grounds are kept immaculate. Born in 1804 Disraeli died in 1881. He was Prime Minster for two periods as leader of the Conservative Party. Charismatic, he was well known as a literary and social figure famous for charming his Queen. As a writer his best known novel is Sybil which traces the plight of the working classes of England. Whilst Hughenden as a 19th century country house is interesting it cannot be compared with size and grandeur to Waddesdon Manor. There is a lovely formal garden, some pleasant walks and both Disraeli and his wife Mary Anne (who predeceased him) are buried in the nearby St Michaels and All Angels Church. The present house was built towards the end of the 18th century and was of a stuccoed and of unassuming design. In 1848 the Disraelis purchased the property but it was not until 1862 that they had it remodelled by the architect Edward Buckton Lamb. 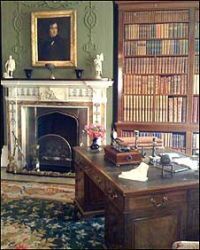 Today it is set out in much the same style as it would have been in the later 19th century with Disraeli’s study intact. There is further connection with Waddesdon Manor. It was to another Rothschild, Baron David, that Disraeli turned to in 1874 for a short-term loan to purchase 44% of the Suez Canal. Britain’s route to its Eastern Empire was secure. 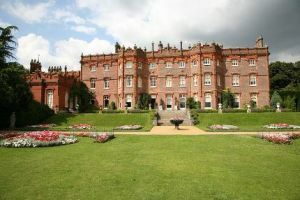 During the WWII, Hughenden Manor was used as a secret intelligence base code-named "Hillside". The UK Air Ministry staff at the manor analysed aerial photography of Germany and created maps for bombing missions, including the famous "Dambusters" raid. There is a small museum in the basement of the house. Summer capacity on offer by the Air France/KLM is to rise by just 0.6%. It said that capacity will be raised by 0.8% on long haul routes but will be trimmed by 0.2% to medium-range destinations, excluding operations that the airline is developing from regional bases in the French cities of Marseille, Toulouse and Nice. However these are marginal with just 3% more seats available. Air France said that, in coordination with its partners Delta Airlines and Alitalia, it is slashing its seat capacity on North American routes by 6.5% over the summer. The French flag carrier, which is struggling to return to profitability, said that it is suspending its flights to Seattle, which will be taken over by Delta, and to Newark, the alternative New York airport, from the beginning of the summer. Orlando goes in September. The photo is somewhat misleading but Boeing has delivered the first passenger 747-8, a VIP aircraft to an undisclosed client who will install his own interior. The aircraft is not expected into service until 2014. Boeing have a further eight similar aircraft on order. 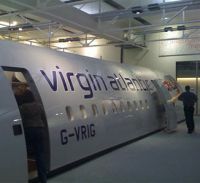 This particular plane will feature Greenpoint Technologies Aeroloft, located above the main cabin between the upper deck and tail. In total there is an astonishing 5,179sq ft (481.1sq m) of cabin space. Deliveries continue of the 747-8 freighter, two with Cargolux, three Atlas Air, one Volgo Dnvpr, and four Cathay Pacific. Seen taking off on a flight test at Seattle is the first airline passenger plane, destined for Lufthansa, dubbed 747-8 Intercontinental. Whilst details have not been made public it is thought to have around 470 seats in a three-class layout. No ‘in service’ date has been announced. This will probably be the last time that AERBT mentions Continental Airlines, which has been around since 1937, and whose forbears go back to at least 1934. The public face of the airline vanished for good last weekend when the carrier and United Airlines adopted a single passenger reservation system, a step that – at least in the public eye – finally cementing their 2010 merger. The move to a unified platform is by far the most significant change customers will experience since the merger of United and Continental to form the world's largest airline, known as United Airlines and owned by United Continental Holdings Inc. "This, from the customer perspective, is probably the biggest thing that they will see," Martin Hand, United's Senior Vice President of Customer Experience, said on Wednesday. 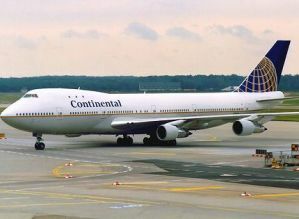 Hand said that the company chose the Continental platform over United partly because it offered more flexibility to users making reservations on the site. 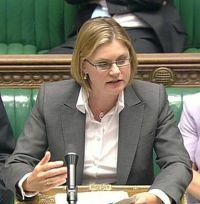 Transport Minister Justine Greening was on hand to help ‘top out’ the all-new Heathrow T2 last Wednesday (29 February) prior to work starting in earnest on the internal furnishings. The building will be the home of Star Alliance at the airport. She has recently been at Gatwick, Stansted and will next week officially open the new Southend terminal. To minimise disruption to passengers, construction of Terminal 2 is taking place in two phases. The first phase will see the creation of the main terminal on the site of the old Terminal 2 and Queen's Building. It also involves the construction of a satellite terminal with additional aircraft parking stands and passenger gates called Terminal 2B. This first phase is due to open to passengers in 2014. Phase two includes the construction of a second satellite building, T2C, which will increase the capacity of Terminal 2 from 20 to 30 million passengers a year. Adria Airways was in the UK last week promoting its new four times per week Luton to Ljubljana service first announced back in January. The airline pulled out of Gatwick at the beginning of the winter season without giving a reason but at a press conference in the private area of the Luton airside lounge the logic of the move became apparent. According to Adria the 50-seat Bombardier CRJ was not viable. At Luton a 135-seat Airbus A319 will be used and the airline will be selling onward connections to Podgorica, Pristina, Sarajevo, Skopje and Tirana. The airline competes with a three times per week easyJet Stansted service. Its now somewhat elderly DC10 has become a familiar airport sight since it went into service in 1992 but it was in March 1982, that the Orbis Flying Eye Hospital took to the skies to deliver treatment and teaching to developing countries. Orbis International is an international non-profit non-governmental organisation (NGO) dedicated to saving sight worldwide. The aviation industry can be proud of the way it has helped Orbis to provide treatment for more than 15m blind and visually impaired people over 30 years. Programmes have been carried out in 89 countries enhancing the skills of more than 280,000 eye care professionals.